Ess & Ess Music Case Co., Inc. The trademark stamp on these cases is very commonly misread as "G&B" because of the fancy initial "S" being mistaken for an "&". The initials are in fact, "G. S. B. ", standing for George S. Bond. Here's the case label with the trademark circle: "Original G. S. B. Improved Trademark"
It's easy to see it's not "G&B" as the text clearly says "This is a genuine G. S. B. 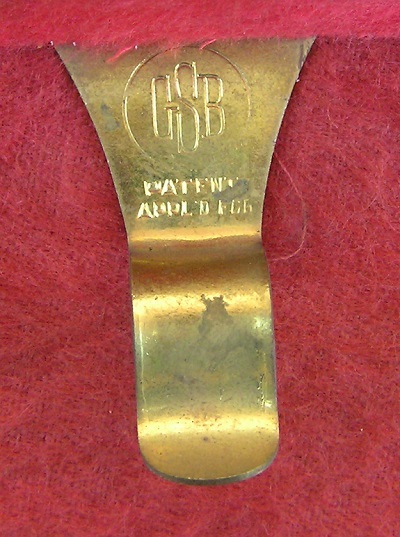 Case"
Bow Holder, Stamped: "G. S. B. PATENT APPL'D FOR"
G.S.B. cases are always made of solid wood, either basswood or poplar. 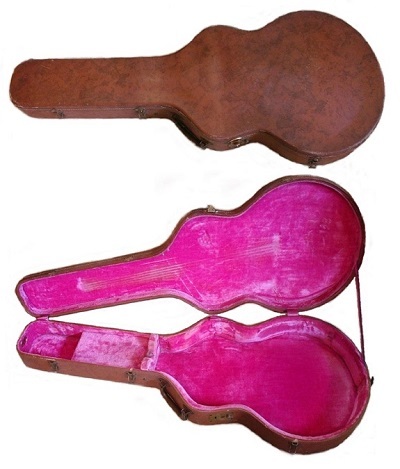 The arched tops for violin cases are one-quarter-inch-thick solid wood that is steam-bent in a metal mold. This photo shows the extreme arch that could be achieved. The failure rate was high, however. The sides of G.S.B. 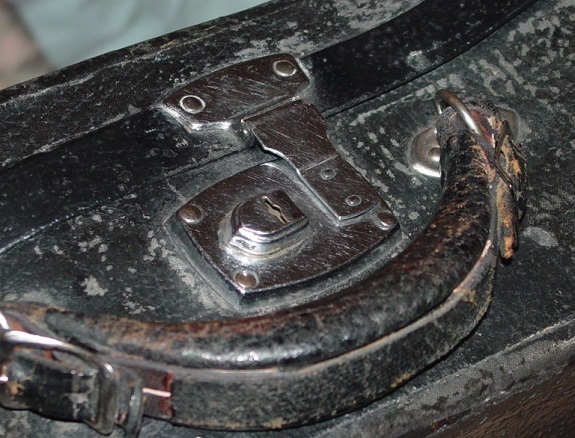 cases have rounded ends that are steam-bent then spliced to the straight sides. Other case builders used splines or other joinery techniques. It illustrates the difficulty of making a curved case from solid wood. 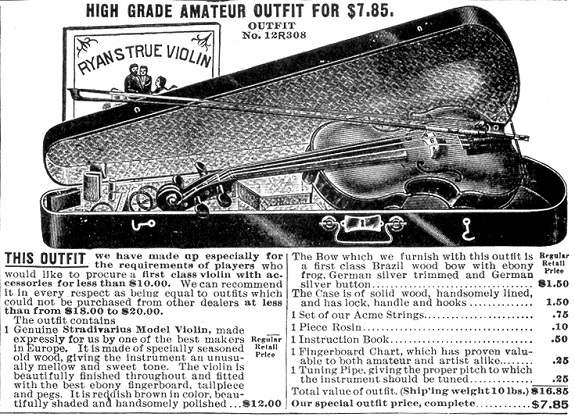 What is a fiddle-box? If you have a fiddle you might just have a fiddle-box to keep it in. If it is quite old and shaped like a coffin, it may have been made Charlestown, New Hampshire’s Fiddle-box Factory, which was doing business before 1880 and continued through many disasters and various owners until 1923, when the complete outfit was sold at auction. The business was then moved to a site purchased by Mr. Bond between the railroad and South West Street. He had a new two-story building erected. On October 26, 1893, he held a dedication with a grand concert and ball, which was attended by approximately 600 people. The interior of the building had been lavishly decorated with materials used to line the cases manufactured by Mr. Bond’s company. Mr. and Mrs. Bond led the Grand March and the dancing. The dance floor was “densely” crowded. At 11:00 O’clock the ladies of St. Luke’s Church served an elegant supper in the machinery department. On August 15, 1900 this latest rebuilding of the company again burned, ad was demolished except for an ell section that was separated from the main building by a brick wall. This fire was thought to have been ignited by sparks which were created by a sanding machine. “The fire was hastened by the blowing up of gasoline and oil tanks.” At this time the shop was employing 25 people. There was great fear amongst the townspeople that with this second calamity, Mr. Bond would not rebuild. Mr. Bond was apparently a man of courage and he entered into partnership with James A. Hunt. A new shop was born on the same foundation, with a two-story addition which housed the engine, dynamo, bending room and other items. 40 people were employed by the company in 1904. 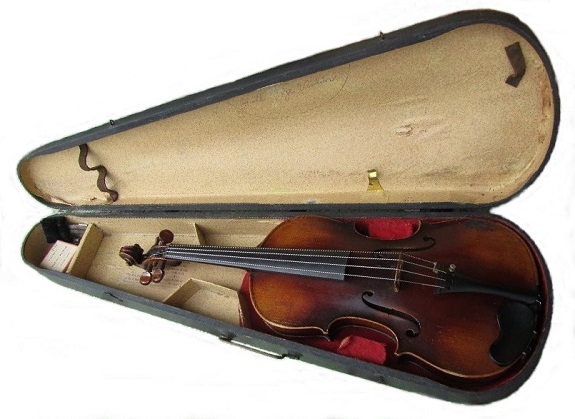 “Cases were made for violins, violincellos, zithers, autoharps, coronets, etc.” The cases were constructed of basswood and many of them were covered with leather or imitations of leather, a product called Keratol or texerderm. These “Bond cases were sold worldwide. “A soldier from Charlestown buying a case in the Philippines proved to be purchasing a “Bond” case. 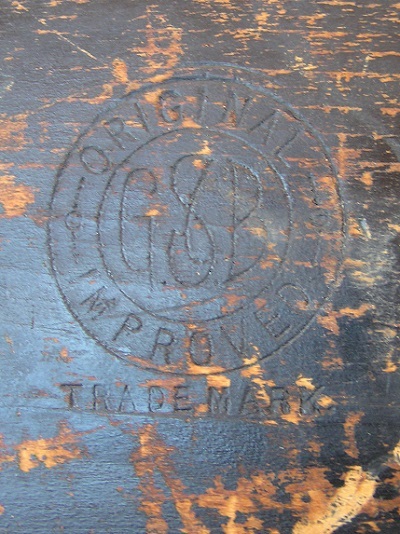 The trademark of George S. Bond was stamped on the bottom of each case. 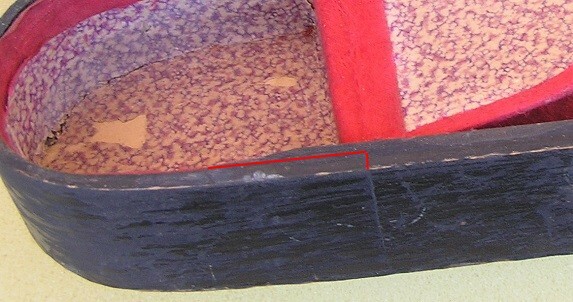 These cases can still be found in antique shops and can be identified by this mark. At one time women were able to line the cases at home to earn extra money. The Superior Tap Company bought part of the business in 1909. They erected a new building. The plant burned for a third time on December 23, 1912 and was rebuilt of cement blocks. “The company finally went into the hands of a receiver and in 1917 was sold for $20,000 to the Charlestown Machinery Company, Inc. on August 22, 1916, was made up entirely of men from out of town” Herbert G. Morse bought the Bond machinery and continued the fiddle-box business (1918). The complete outfit of G.S. Bond Company was sold at auction June 1, 1923. This building now houses the Bomar Company. The following is an excerpt from the diaries of Clarence Bailey (18676-1957): 1899 Jan. – Omer J. Clark took a load of my basswood boards today. He is putting them in with his and taking them to Bond’s Fiddlebox Factory at Charlestown. They bring $15 M. I have about 3 M. They are going to take the rest tomorrow. Feb. – Omer Clark paid me for my basswood he drew to Bond’s. 3230 feet at $15 per M. It came to $46.75. I paid him $5 for drawing. 1899 Nov. – I went to Charlestown and saw G. W. Bond in regard to buying his bass and poplar lumber to be delivered next winter. He said he would write me about what he would do about it in a few days. Thank you to the Charlestown Historical Society and the Silsby Free Library for their help in researching this article. 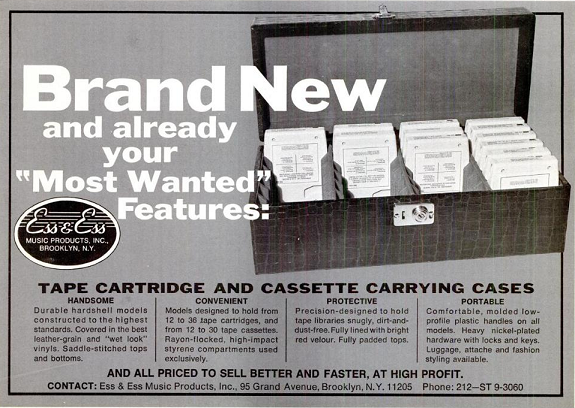 The History of Ess & Ess Music Case Co., Inc. Entrance to Ess & Ess Music Case Co., Inc.
Ess & Ess was founded in 1950 by Mr. Sandler. The company was named Ess & Ess Mfg. until 1953, after that it was incorporated as Ess & Ess Music Case Co, Inc. In 1964 Mr. Sandler passed away. According to the Geib family there was an attempt at some point by Geib, Inc. to purchase Ess & Ess. This was probably in 1964 when Mr. Sandler died. Apparently Mr. Sandler's son, Martin E. Sandler, made the decision to keep the company. Marty Sandler ran the company from 1964 to 1984, when he closed the business and sold the building. They had been located at 95 Grand Ave., Brooklyn, New York 11205. The remaining forms and materials were purchased by the Harptone Corporation. 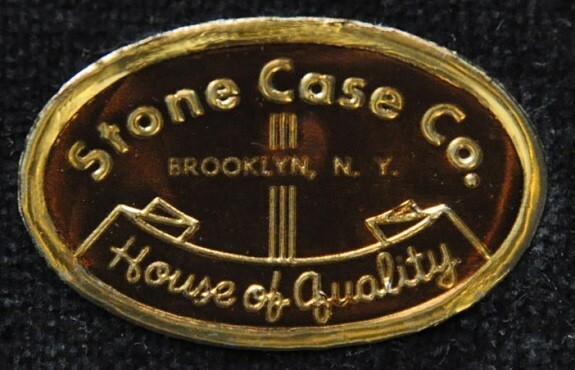 There is very little information available on the Stone Case Co. Cases with the Stone Case Co. badge have been seen from the early 1950's until the 1970's at the latest. It's possible that there are earlier unbadged cases that cannot be identified. 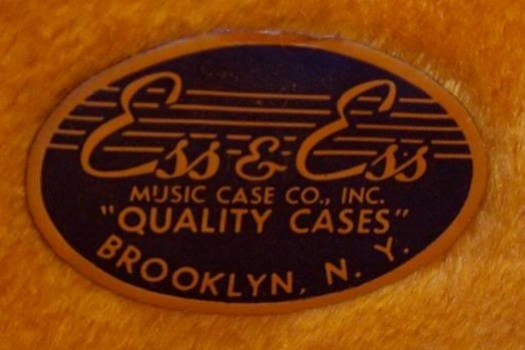 The Stone Case Co., Brooklyn, N.Y. produced cases that seem very similar to Ess & Ess cases, and both companies seem to be influenced by Lifton Mfg. Co. They were all located in Brooklyn, and all have similar oval badges that are printed on heavy paper with embossed metallic highlights. 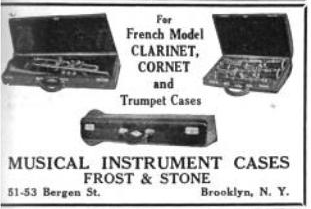 An instrument case company called Frost & Stone was in existence from before 1919 in New York and later Brooklyn. Although no direct evidence has been found, it seems possible that this is a predecessor company to the Stone Case Co.
Is this the predecessor to The Stone Case Co.? 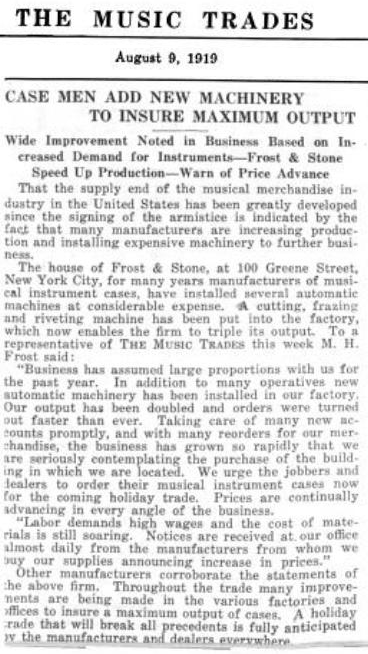 1919 Article states that Stone Case Co. has been in business "for many years." 100 Greene Street is 1.5 blocks from Keystone Leather Goods, the first company started by Maurice Lifton. 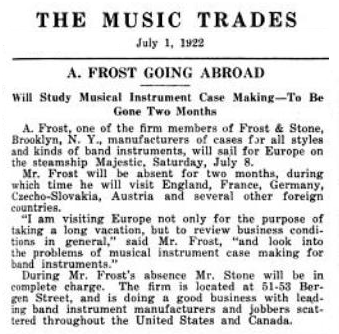 By 1922 Frost & Stone is located in Brooklyn, that same city as the Stone Case Co. 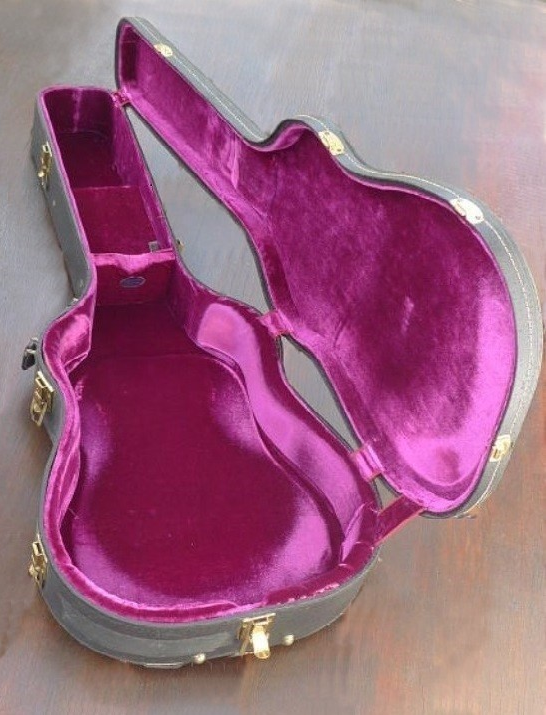 In the early days of musical instrument manufacturing many instrument builders also made their own cases. Here's an example from Whaley Royce & Co. of Toronto, Canada. They primarily produced horns, wind instruments and percussion instruments but also were a dealer for all kinds of musical merchandise. 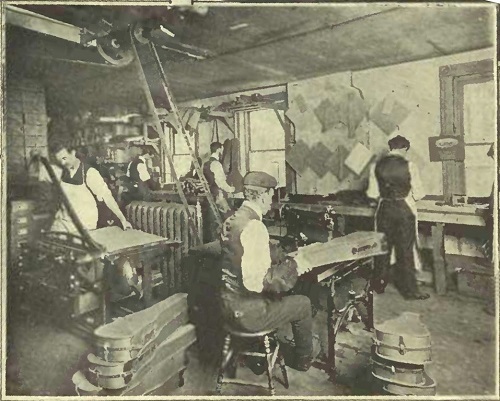 Here's a picture from their 1907 catalog showing their case building department, with canvas violin cases under construction. Lyon and Healy, below, is another example of an instrument builder who manufactured their own cases for a time. 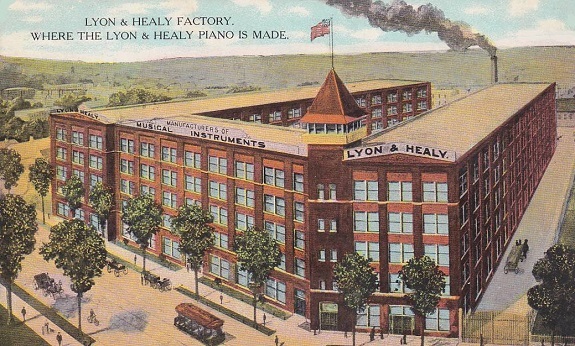 Lyon & Healy manufactured musical instruments of all types and built cases as well. Formed in 1864 by George W. Lyon and Patrick J. Healy as the Chicago retail distribution center for Boston sheet music behemoth, Oliver Ditson, the company began contracting for guitars with local instrument makers in the mid-1880s. It began building guitars in its own factory in the early 1890s. Lyon & Healy was the largest American guitar maker at the turn of the twentieth century. 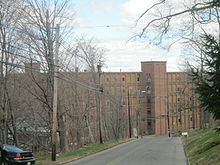 In 1928 Lyon & Healy largely abandoned manufacturing of guitars and other stringed instruments.1 They are still in business today as a legendary builder of harps. Many Lyon & Healy stringed instruments are seen in G&S cases, so it's possible the case building era of Lyon & Healy ended during the teens. The stamp reads: "L H C, Trade Mark"
Hard shell cases are typically covered with an imitation leather material. Before World War Two the most common brand of covering was Keratol. During the 1950's Tolex became the standard. What's the difference between Keratol and Tolex? They're both a type of imitation leather, a product that has been in existence for centuries. Early versions were fabric coated with boiled linseed oil. Later India rubber was used. Neither were entirely satisfactory and tended to crack in cold weather or get sticky in warm weather. Keratol invented a coating that combined celluloid and linseed oil, which was applied to fabric and embossed with steel rollers to give it a leather grain pattern. Tolex accomplished the same thing using a vinyl-based material. 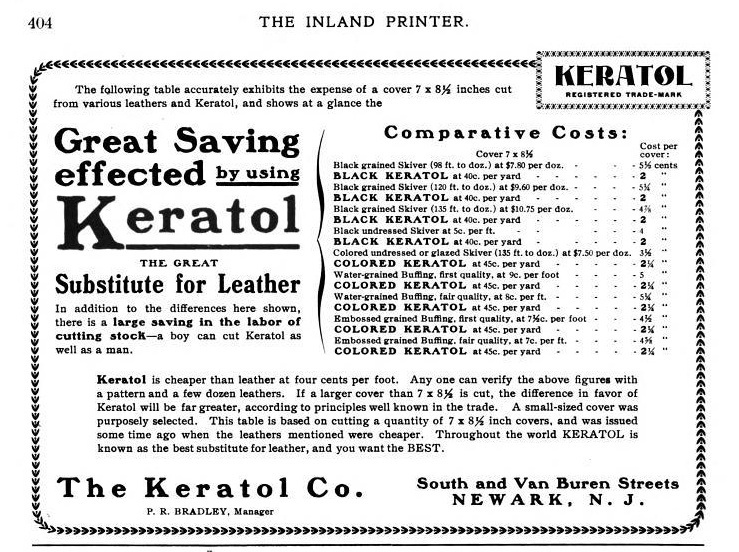 The Keratol Company was established in 1898 and produced light weight imitation leather that was used primarily for bookbinding, upholstery and similar applications. 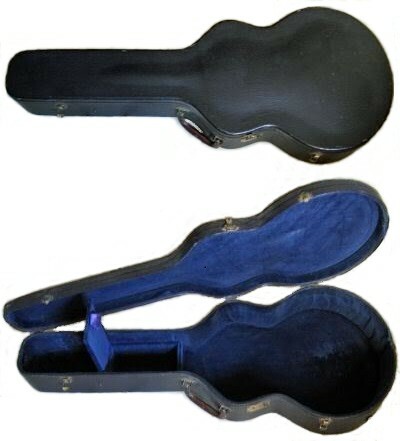 When hardshell musical instrument cases began to be manufactured about 1904, it was a natural choice for case coverings. Word Mark KERATOL Goods and Services (EXPIRED) IC 024. US 042. G & S: TEXTILE MATERIAL PROVIDED WITH A FLEXIBLE WATER-PROOF COATING. A 1921 Keratol advertisement, stating they have been in business for "nearly a quarter of a century"
Macmlllan & Company, Ltd., St. Martin's Street, London, W.
BY D. VAN NOSTRAND COMPANY, INC.
Frederick Crane first manufactured commercial nitrocellulose lacquers in 1884. The original lacquers of the Orient came from the sap of a native tree, and chemists had tried for decades to develop some counterpart. Nothing proved practical until John H. Stevens of the Celluloid Varnish Co., in New Jersey, and Richard Hale of the Frederick Crane Chemical Co., Springfield, N. J., found the key at almost the same time. In fact, patent applications were filed by both on the same day, Aug. 13, 1887, and priority suits were filed. A friendly settlement was reached by uniting into the Celluloid Zapon Co., and the factory was removed to Stamford. In 1897 the Evans Co. was discontinued and the Boston Artificial Leather Co. organized, moved to New York, the product name changed to Morroccoline, and the coating of cloth again returned to Springfield. 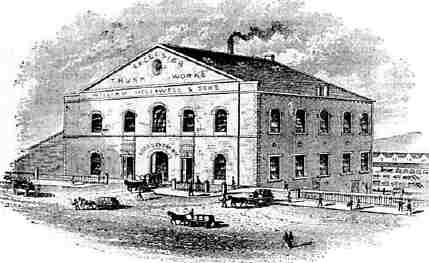 The John Kummer Embossing Co. of Newark, N. J., was absorbed and moved to New York. The coated cloth was sent from Springfield to New York to be embossed and shipped to customers. In 1904, owing to increased business and to poor transportation facilities then available at Springfield, it was decided to build a new plant at Stamford, Conn. Operations commenced Sept. 1, 1904, and the New York office and Decorating Department soon followed to Stamford. 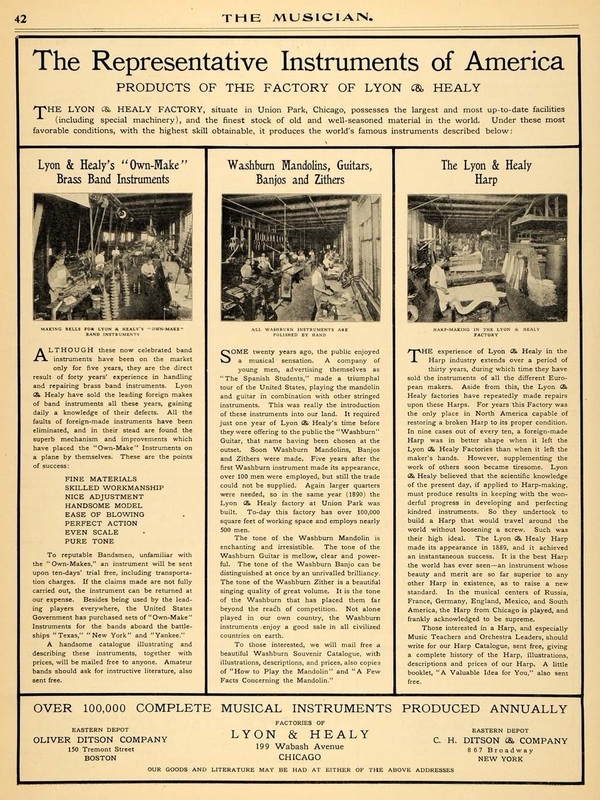 At the time of the Atlas acquisition in 1917, the firm known as Richards & Co. controlled manufacturing facilities of both leather cloth and industrial finishes, while the sales of leather cloth were handled through the Zapon Leather Cloth Co. and those of industrial finishes through Celluloid Zapon. "Commodore" Leonard Richards, organizer of Richards & Co., had been with the interests since 1886, when he and Frederick Crane were co-founders of the Frederick Crane Chemical Co. He retired shortly after Atlas took control. His son, Leonard Richards, Jr., became a director of Atlas, and was vice-president and director of purchases in Wilmington until his death in 1946. Both the finishes and leather cloth operations have been greatly expanded by research and development of better products requiring increased facilities, and by acquisition of other properties. The Duratex Corp., Newark, N. J., was acquired through Richards & Co. in 1928, greatly strengthening the Stamford operations, especially in rubber-coated fabrics for automobile top materials, etc. Duratex had originated in the leather industry, when the Johnson Leather Co. about 1903 began to manufacture split leather for the carriage trade. The company began to make artificial leather for the automobile industry about 1916, under the trade name Duratex. In 1937 Atlas purchased Revolite, a Bakelite resinoid-coated fabric formerly manufactured by Revolite Corp., a Johnson & Johnson subsidiary. Most recent acquisition in coated fabrics was the Keratol Co., Newark, N. J., which was purchased in 1941. Established in 1898, Keratol had become a well-known and successful manufacturer of artificial leathers, upholstery and book-binding fabrics, and other coated fabrics, principally of the "light-weight" type, as distinguished from the heavier types of coated fabrics made at Stamford. Personnel and manufacturing equipment moved to Stamford, consolidating the two plants. All coated fabrics operations are now included in the Zapon-Keratol Division, which, with the Zapon Division (industrial finishes) makes up the Cellulose Products Department of Atlas. Until May 16, 1947, this department was headed by Jacob K. Weidig, who had been associated with the old Keratol Co. as its general manager, and had been an officer and director since 1915. He has been succeeded by Ed H. Bucy. Tolex is an artificial leather that uses a vinyl coating on fabric, rather than the celluloid/linseed oil coating of Keratol. 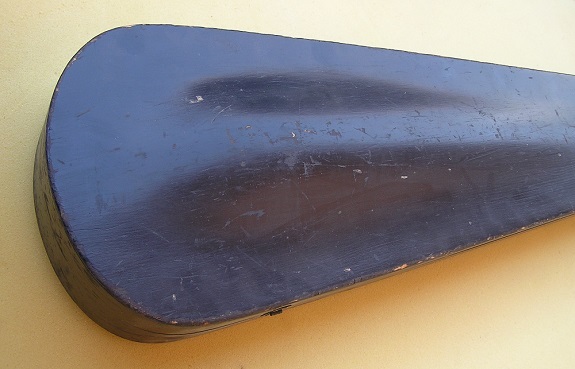 It became popular during the 1950's as a covering for guitar amplifiers, speakers and instrument cases. There are three main manufacturers of hardware that appear on vintage musical instrument cases: Eagle Lock Co., Excelsior Hardware Co., and Presto Lock Co. These companies produced a huge variety of locks, latches, hinges and other hardware for cabinets, trunks, cases, and luggage. Eagle Lock Co. was the oldest and largest. Excelsior Hardware Co. was the second largest, and Presto Lock is a smaller company that is seen starting in the late 1930's and is found mostly on post-WWII cases. Q: Can I identify the manufacturer of my case, based on the brand of hardware used? A: Musical instrument case manufacturers used hardware from all three companies and others, so finding a case with Eagle Lock hardware or Excelsior hardware doesn't help identify the case manufacturer. Q: Who made the hardware on my case? 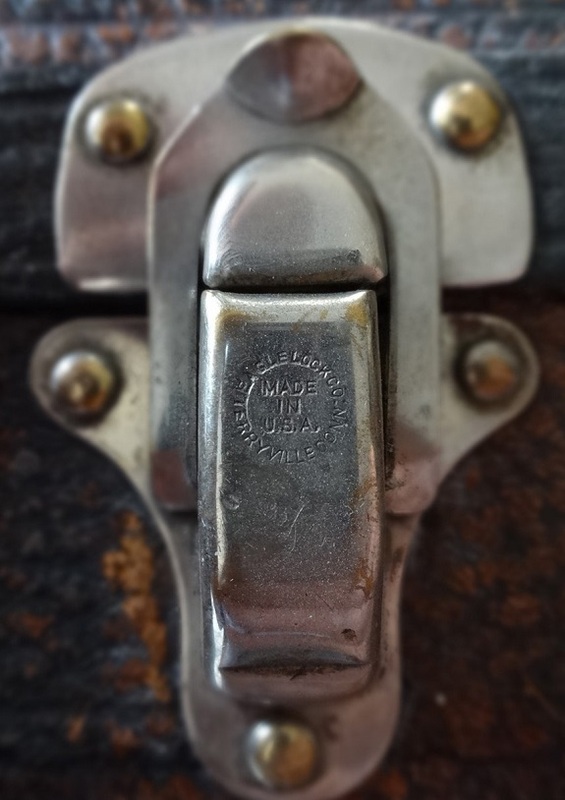 A: Sometimes the manufacturer's name is stamped on latches or hasps but many times they are not marked. Other hardware such as hinges, handles, or studs are never marked. The major manufacturers all produced very similar, if not identical items. So, unless the name is stamped it is probably impossible to identify the manufacturer of a particular piece of hardware. Factory of the Eagle Lock Co., Terryville, Conn.
1864 - Philadelphia, Edward Young and Co.
At Terryville, in Litchfield County, are the import manufactories of the Eagle Lock Company, a corporation that had its origin in the consolidation, effected in 1853, of two companies that were first in the United States to manufacture Cabinet and Trunk Locks by machinery, viz: the Lewis Lock Company and James Terry Company. 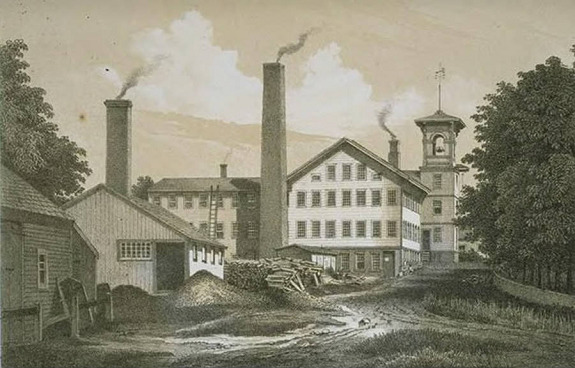 The former were the successors of Lewis, McKee & Co., who purchased in 1834 the stock and tools of the first cabinet lock manufactory established at Watertown, Conn., by an English Locksmith in 1832, and removed them to Terryville. The history of this firm is mainly a record of struggles with embarrassments and difficulties. For years after they commenced they had no Engine Lathe, and such a tool was scarcely known in all the manufactories of the State. For a long time they used only hand presses, cutting out the heavy parts with immense labor, though they were the first to introduce the power press, now universally used in manufacturing every variety of hardware. They imported some of their lock-plates already bent-up; for the significant reason, that they could import them cheaper than the raw stock. The want of suitable tools, however, was not their only embarrassment – the want of a market was a still more serious impediment to success. It is difficult at this day to conceive of the inveterate prejudice that existed only twenty-five years since, against articles of domestic manufacture. Hardware dealers would scarcely look at an American Lock, and scouted the idea that Americans could compete with the English in maufactures. It was only by the most persevering efforts, through commission houses, that any sales at all were effected, and the consequence was that in 1841 the concern was sold to Lewis & Gaylord for six cents on the dollar of the capital stock. The new company progressed slowly, added new and improved machinery, introduced styles of locks better suited to the market, and put their price so as to meet successfully the English competition. The history of the early attempts to establish the manufacture of Trunk Locks by James Terry & Co., and their predecessors, Bucknell, McKee & Co., is a record of similar difficulties encountered in the shop and the market; but suffice it to say that they have all been surmounted, and their successors, the Eagle Lock Company, have now three large manufactories, equipped with the best machinery, employing about 200 hands and turn out over 20,000 locks per day, each furnished with a key ready for use. Recently they purchased the stock and tools of the Fitch Manufacturing Company of New Haven. This company now manufacture an immense assortment of Locks. They have issued a list of colored lithographs of several hundred varieties, that are not only a standard article in the stock of dealers in American Hardware, but form a considerable item of export to the West Indies and South America. 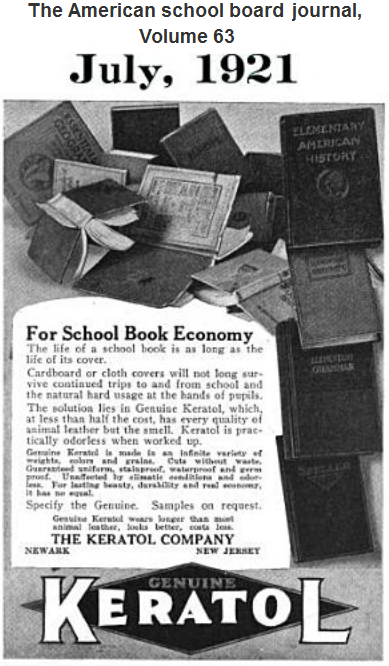 They also publish in connection with their Price List a historical sketch of their establishment and the manufacture of Cabinet and Trunk Locks in this country – a most laudable plan, which, if generally adopted by manufacturing establishments would materially lighten the labors of future historians and annalists of American Industry. Elisha Mix, Jr. had worked in several machine shops, and in 1873, at age 23, his uncle, Frank Mix, offered him work as an apprentice tool and die maker at Eagle Lock Company in New Britain, Connecticut. There he was kept on through the panic of 1879 when others lost their jobs, and there he met Fannie Williams, later to become his wife. In 1875, eight men from Eagle Lock, including the three Mixes, formed Bridgeport Lock Co., located in the old Wheeler & Wilcox factory building in Bridgeport and in December Elisha, Jr. and Fannie were married in Terryville, leaving that afternoon on the train to Bridgeport. Changing trains at Waterbury, they saw signs of a fire in the distance and were held up an hour by the blaze, which they learned was in the old Wheeler & Wilcox building, close to the tracks. Elisha led a group of men in battering out one end of the building to rescue machinery and work in process. Recovering from this disaster, Bridgeport Lock prospered, doing so well they posed a threat to Eagle Lock Co. In the harshly competitive spirit of the times, Eagle offered to buy them out. Always there was the barely concealed threat, "sellout or else." So—they sold out and all went back to New Britain and work at Eagle Lock Co.
By 1883 Frank Mix was with Corbin Cabinet Lock Co. in New Britain. He sent for his nephew to join him and Elisha, Jr. built a house and settled down to live, permanently he thought, in New Britain. 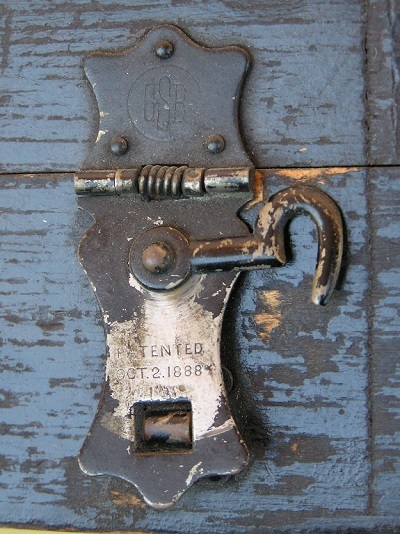 In 1891 Henry Towne sought out Frank Mix to come to Stamford to start a cabinet lock division at Yale & Towne. Elisha followed with his oldest son, Moseley, and Frank's son. In Stamford Elisha bought a house at 13 East Park Avenue, later Pleasant Street. While at Yale & Towne, each of the four Mix men was put in charge of a department almost immediately. During the winter of 1895-96 Elisha was seriously ill with a form of grippe or pneumonia, and on recommendation of the shop doctor, Samuel Pierson, he took a month off to recover. Henry Towne, of course, did not pay for sick time and then sent for Elisha on his return to work. There he advised Elisha that since the department he headed ran so well in his absence, his pay would be cut. Elisha protested he had begun with six men, by that time had 20 men working for him, at no increase in his pay. Towne was unimpressed. The real estate market was depressed and Elisha had no choice but to stay in Stamford until he could sell his house and move on. With two other Yale & Towne men, who had been planning to leave the company and go into business, he entered into a partnership for the manufacture of hardware and "such other lines as they may mutually agree upon." Joe Horne, one of the partners, had by this time decided to give up his manufacture of bicycle pedals. Working out of the old Bridgeport Power Co. building in Bridgeport, the third partner, Charles Erickson and his brother, produced 200 dozen locks which were made in the name of C.A. Erickson Company. J. Goldsmith & Co. in Newark were interested in buying these locks but were reluctant to have the lock trust know the manufacturer's name, so the locks were stamped "Excelsior Lock Works, Newark, N.J." and sold by the "Excelsior Hardware Company." Excelsior is a generic name for a type of trunk lock widely used at the time. In May 1898, when Erickson had to sell his share in the partnership due to poor health, Elisha gave notice to Fred Towne, borrowed from his wife, his father and a friend and began manufacturing in earnest. He continued selling to J. Goldsmith, who by this time were ordering a second lock, designed by Elisha, which lock was also being sold to Hammacher Schlemmer. In 1899 Yale & Towne discovered the true identity of "Excelsior Hardware," and fired Elisha's son, Moseley, who then joined his father. Business began to pick up and orders came in from ever-widening circles, by that time reaching Grand Rapids, Michigan. In the Spring of 1899 everything was going so well, it was decided to move the business to Stamford. 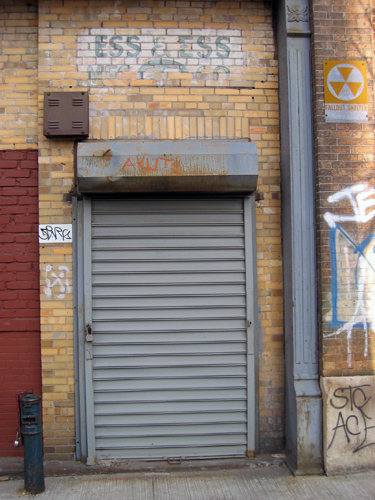 For $15 a month, they rented an upstairs ell of the Smart Hat Factory on Crosby Street. Power came from H.A. Tuttle, a car maker next door. When Mr. Tuttle gave up on car manufacturing, Excelsior moved into his space also, and then moved once again to East Walnut Street. Nineteen four and five saw the beginnings of the panic of 1907. Steel was difficult to obtain, but Excelsior managed to stockpile a supply. When the panic set in and orders slowed down, the precious steel supply went unused for a time. In 1910 Elisha bought land on Woodland Avenue and built a 150' x 50' wooden building with a brick veneer, which is still standing at this time. On June 27, 1910, at the offices of Cummings & Lockwood, Elisha, together with sons Moseley and James, held the first meeting of the incorporators of the Excelsior Hardware Company. The duly approved Certificate of Incorporation had been filed May 10, 1910 with the Secretary of State of Connecticut and a copy filed with the Stamford Town Clerk on May 11th. Their stated purposes were to manufacture various types of locks and hardware, to obtain machinery and equipment and to acquire land as needed. Capital stock of $25,000 was divided into 1000 shares of common stock with a par value of $25. Duration of the company was to be unlimited. By-laws were written and annual meetings were to begin January 23, 1911. At the June 27, 1910 meeting, Elisha transferred the Woodland Avenue property, valued at $13,000, to the new corporation. The property was encumbered with a $5,000 mortgage held by Frank Hoyt, who owned or had mortgaged much of downtown Stamford. At the same meeting, Elisha, Moseley and James transferred title to all business property and equipment to the corporation, a value of $15,000. The new corporation then opened an account with Fidelity Title & Trust Co., 129 Atlantic Street. The three stockholders treated themselves well, drawing good salaries and driving company-owned cars. In 1913, Elisha's 21 year old son, Clarence, was made a director, and in 1917 each of the four was drawing $12,000 annually in salary. This was a princely sum at a time when a good-sized house could be built for $2,500. In January 1918, when Clarence left for the service, his salary was temporarily reduced by half. War production was profitable and in January 1919, the capital stock was increased and at the annual meeting it was voted to purchase the so-called Tuthill property from the four directors for $18,000. This property adjoined the Excelsior Woodland Avenue property and extended to Atlantic Street. Business was doing well, dividends were regularly declared and paid and in December an additional $5,000 in salary was paid to each director, bringing their salary for the year to $20,000. Meanwhile, with the improvement of the already existing product line and newly developed items, the line was extended and catalogs were being issued annually. At about this time, a Spanish language catalog was issued for South American buyers. Then came the depression of 1921. Officers' salaries were cut to $10,000. Operating expenses were cut and purchases restricted to items deemed absolutely necessary. Lack of orders and resources taxed to the limit led to cutting the work week to 24 hours in July of 1921. The hourly rate was not cut, but all unnecessary help was temporarily laid off and officers' salaries were cut once more to $5,000. By March of 1923 the unsubscribed stock was being offered to stockholders of record at $12.50 per share and in January 1924 a 6% dividend was declared. At the February 1925 annual meeting of stockholders, it was reported that the company's net worth had increased to $402,472. New agencies were opened in Cleveland and in Petersburg, Virginia and in 1925 export business increased, mostly to France, Norway and Argentina. In 1927 Clarence Mix was appointed Assistant Secretary-Treasurer, and from 1925 to 1927, dividends were regularly declared. Elisha's initial company, housed in part of a building in Bridgeport, had grown to cover some two acres of land with access to Woodland Avenue and Atlantic Street. Old-fashioned by today's standards, its machinery, run by overhead shafting, was state-of-the-art for its time. The buildings were large, with oversized windows, and production progressed in fairly orderly fashion from one department to another. The stamping department began with flat raw stock and stamped out flat items. Then to the punch presses for secondary operation of bending and punching holes. After World War II, these operations were combined in one by the use of progressive dies, which moved the stock along in two or more stamping and forming operations at the same machine. Plating and finishing took the formed piece and produced the polished finish and then assemblers put the parts of the individual item together. 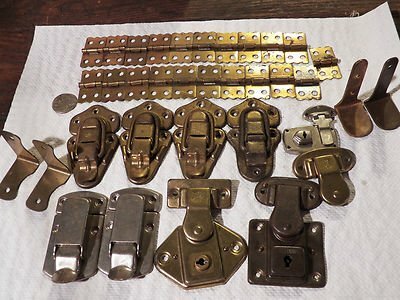 By tradition, locks and similar parts, hasps, hinges, corners, etc., are sold in lots of 100 dozen and in these quantities they were shipped to all parts of this country and many foreign countries. Excelsior's tool room numbered about a dozen men in the 20's and 30's. Elisha had been instrumental in bringing a trade school to Stamford (rather than Norwalk) and each year from the school's graduating class Excelsior chose from the top graduates as many as they needed to train as tool-making apprentices. Some of these apprentices were employed as journeymen at Excelsior and others were welcomed into other local companies. In later years as the tool room expanded, whatever equipment was needed was bought and older machinery updated. In February of 1930 stockholders at the annual meeting learned that the company was anticipating sales of over $400,000 that year. A new group, consisting of Albert Komenack, Ollie Bloomfield and Paul Plepis was assigned to the design and improvement of locks. Elisha's 80th birthday was mentioned. The Depression began to be felt in 1931. Sales were down 12% in February. By December, sales were 57% below the previous four years average. The directors' salaries were reduced to $4,200 each, although president Elisha continued to receive $6,000. For most of 1931, Excelsior was 42% below normal and in December the capital stock was worth $39.35. In an effort to keep busy and provide employment for those working in the shop, various products requiring custom stamping were made. These included commercial ice cream scoops, razor blades, meter seals, leatherette hair curlers, shoe display stands, price ticket holders for shoe stores, and remote controls for model sailboats. By February of 1932 the capital stock was worth only $28.54. Business was being lost by the company's refusal to lower prices below the profit level. Some business was lost to a competitor who did just that. Said competitor subsequently went into receivership. Salaries continued to decrease. Elisha, in 1933, was receiving $5560 and the other three directors were paid salaries of $3320 each. In all departments of the shop every effort was made to lay no one off. Hours were reduced, pay rates were cut and in some instances where a husband and wife were both employed, the wife took a leave. In this manner, whatever work and income was available was shared and no Excelsior employees were left destitute. By 1934 it appeared that things were looking up. Business in 1933 had been 70% better than in 1932. Top salaries, however, continued to go down, with Elisha paid $4800 and $2400 being paid to the other three Mixes. In 1934, Elisha's oldest son, Moseley, his right-hand man, died. James was named General Manager. Small indications of business improvement continued to appear. One hundred dollars was voted for painting the factory building and vacations for office workers and foremen were approved. Elisha Mix died in Florida in 1936. At the 1937 annual meeting Ralph H. Mix proposed a resolution in memory of his father, the company president. The resolution said in part, "that his righteousness, and fairness should always continue to be the standard of this organization." At this meeting Earl Mix, Moseley's son, was elected president. Fall of 1938 brought the memorable Hurricane and tidal wave. Damage in Stamford, especially in the South End, was considerable. Excelsior suffered losses of large amounts of finished goods held in inventory, as well as damage to machinery. The total amount of loss was large enough to threaten the tenuous financial stability of the company. By 1940, with war in Europe a reality, Excelsior began purchasing larger quantities of raw material. By July 1941, raw stock deliveries were slowing down, due to the effect of the government's priority system. In 1942 arrangements were made for employees to begin purchasing defense bonds by payroll deductions. During World War II, in addition to their regular hardware line, Excelsior also manufactured drawing dies for all sizes of cartridges and outer containers for multiple contact electrical connectors. Like all other businesses, personnel shortages were felt, as men left for the service, including members of the Mix family, and by 1943 the company was doing 95% war work. In 1943, a committee was appointed to proceed with installation of a pension plan. Said plan was presented at the November directors' meeting as the "Excelsior Hardware Company Employees' Pension Trust." After the war, in 1946, a lot facing on Woodland Avenue was purchased where a new office building would be built. A 10% raise was given employees in April of that year. Lack of help continued to be a problem. By 1948 four paid holidays were decided on, Decoration Day, Labor Day, Thanksgiving and Christmas. A second shift was added which was still operating in 1952. By the end of 1954 two additional holidays were added, New Year's Day and Fourth of July, and it was recommended to purchase the former Boys Club property on Pacific street. In 1956 the Atlantic Street apartment house was demolished and the property between Excelsior and Excelsior Plimptruck Co. was aligned by an exchange of property. The former Boys Club house was rented. All directors were concerned with the daily details of efficient factory management. Clarence Mix stressed the need for a training program for sales personnel and young executives. Irving Branch, a director since 1951, met with Earl Mix to discuss ways to improve statements, cash and profit positions, and to study ways to reduce factory overhead and excess overtime. In December John Mix urged rebuilding the press shop and Earl agreed. At this time the first mention was made of the move to plastic luggage which would require changes in manufacture. The later fifties and early sixties continued much as before, with attention to changing luggage styles. Gifts were made to local agencies, wages and vacation times were increased, and overhead shafting began to disappear. By 1965 the press shop was again working Saturdays and a night shift was reinstated. Duplicate dies were being made in order to increase production. A union election resulted in a defeat for the unions in 1967, but in 1968 the Tool Makers Guild succeeded in signing up the tool room, and wages and benefits were negotiated. There was, however, general agreement that no great benefit was derived from the union membership. Wages and benefits had been and continued to be well thought out and distributed by the company. The Pacific Street house continued to be a problem, even with a rent increase, and it was mentioned that the house would be demolished when the family then occupying the house finally vacated. In 1969 Clarence E. Mix, youngest of the Mix brothers, died. He was the last of his generation involved in the management of the family business. A new series of locks and drawbolts to be made of plastic, was begun in 1969. Two properties on Woodland Avenue were purchased. In July Paul Plepis resigned and Ralph T. Mix was named shop superintendent. During his tenure in this position all overhead shafting was finally eliminated. The 70's began inauspiciously with a six month loss of $100,000. The year 1971 continued with depressed sales, but by 1972 the worst of the recession appeared over. Anti-pollution laws and safety and health rules required considerable expense. OSHA requirements for equipment and safety fixtures cost an initial $35,000, and by the date of the February annual meeting it was feared these costs could rise to $150,000 or even $200,000. At the end of the year the energy crisis was a threat, and changes to the plating department cost close to $50,000. Foreign competition continued to draw business away from the company. Copies of Excelsior products were made in Asia and even in Germany, selling of course at considerably less than American made originals. 1975 saw the closing of Eagle Lock Co., Excelsior's major competitor. In August 1976, Earl L. Mix died. He had been president of the company for 40 years and was succeeded by his son, Coleman. In March 1977 Coleman Mix died. Filling the office of president of the company was extremely difficult. At the March 9th annual meeting directors elected were Joseph N. Ferrara, John B. Humphries, Ralph T. Mix, Reginald Connolly, John S. Mix and John Sullivan. Joseph Ferrara resigned from the Board March 27th and was replaced by Carol Mix, Earl's widow. Officers then elected were: Carol Mix, Chairman, John B. Humphries, Vice President Sales & Marketing, Reginald Connolly, Vice President and Treasurer, and John S. Mix, Secretary. In November 1978 Reginald Connolly was elected president. Robert Kahan became a director in 1979. A workroom at the Rehabilitation Center was to be named for Earl L. Mix. An EDM (Electrical Discharge Machine) was ordered for December delivery, to cost $100,000. Soft-sided luggage and ongoing foreign competition were continuing to affect sales, and the EDM would provide opportunities for product diversification. This had been Excelsior's philosophy from the beginning, not always to the company's financial advantage. Before many more years the hope, the company, the jobs of everyone involved, would all be lost. The year 1980 began with an investment of one and a quarter million dollars in the pension fund. Wages were increased 9%, toolmakers got 10%. A pledge of $1500 was made to the YMCA Capital Fund and the annual profit sharing and dividend were voted. The next year a second one and one quarter million dollars was invested in the pension fund. The new EDM and engine lathe were working well and improvements were made in equipment and management practices throughout the plant. The union contract negotiated for the tool room included five weeks vacation for 30 years and the company was declared to be in sound financial condition by Robert Kahan, auditor. A profit share of approximately two weeks pay was passed. Lynwood Mix, Earl's younger son, was elected a director. This year an 8% raise was given—again 10% for the tool room, a second EDM was purchased, and $10,000 was pledged to the Stamford Hospital Building Fund. In 1983 prices were increased 8% and wages raised 6%. The house at 711 Pacific street, which had been a drain on company finances for years, was finally about to be demolished. The elderly couple who lived there having died, the remaining family members were served a court ordered eviction notice to vacate by August 1983. In November Mr. Connolly was named administrator of the pension plan, in which capacity he had already begun serving. In January 1984 Connolly and Robert B. Kahan were named Trustees of the plan. A contractual agreement was approved in 1985 between Robert G. Thompson and the company, covering operation of a third EDM at Thompson's home, 153 Holmes Avenue, Darien. Offers to buy the company were being received and considered. Ill-advised and inaccurate information was given to the media by a company officer and it was agreed by the directors that further press releases would be made by the company president only. In 1986, January, president Connolly retired and by a Special Directors Meeting on January 31, Robert G. Thompson, a 21-year employee, was elected president. The statement is simple, the portent, ominous. It was noted in the corporate records that, when Connolly took office in November 1978, there was $185,000 in cash and $18,000 in securities. At the time of his retirement, cash was $473,000 and securities $400,000. These figures do not include the pension plan. EDM use continued to increase and plans were made to pursue business in contract stamping and tool making. Directors as of February 24 were Carol Mix, John Mix, Lynwood Mix, Ralph T. Mix, John B. Humphries, Robert Kahan and Robert G. Thompson. Robert Kahan's accounting of the pension trust showed a total investment of $1,645,000. Thompson began his career at Excelsior as an apprentice toolmaker. He advanced from journeyman to tool room foreman. He was intelligent, talented, ambitious, personable, and at the time of his election as president, eager to prove himself. He began his sinecure as president by renovating the company offices, installing computers and a new telephone system and expressing his intentions to update the factory itself. In 1988 the stockholders dissolved the corporation and the company was transferred to Thompson. No money changed hands. This transfer included all assets and liabilities, with the exception of the real estate, which continued to be held by the stockholders of record as of that date. Thompson was entrusted with the business on the understanding that he would continue operations, making improvements and alterations where necessary, and continuing to provide employment thereby, particularly for those employees who had been with the company for a working lifetime. Many of these people had been working alongside succeeding generations of their own and other families, often a son following a father in a particular position. Thompson organized his own company called "Excelsior Enterprises," doing business as Excelsior Hardware. William Bouton, Jr. was his vice president, and among the directors were Donald Bouton, Robert Middlebrook (company comptroller), Richard Mix, Joseph Tedesco, and Emmanuel Chalikis. John S. Mix and William Bouton, Jr. continued as Trustees of the Excelsior Hardware Company Defined Benefits Pension Plan, a separate entity, not part of Excelsior Enterprises. Note: Beginning at this point, material is copied from a document prepared for use in the subsequent court proceedings. 1. Mr. John S. Mix and Mr. William Bouton are the Trustees of the Excelsior Hardware Company Defined Benefits Pension Plan (hereinafter "Pension Plan" ) and, as such are (and at all times have been) the only authorized signatories for the Pension Plan checking accounts and Certificates of Deposit. 2. In July, 1989, John S. Mix underwent a serious back operation. Just prior to the operation, Mr. Robert G. Thompson, president of Excelsior Hardware Company (hereinafter "the Company" ) took physical possession of the Pension Plan checking account and certain other records of the Pension Plan by removing the check book and other records from Mr. Mix's locked file, However, at no time was Mr. Thompson ever authorized to execute documents, sign checks or in any other way act on behalf of the Pension Plan. 3. On or about July 5, 1989, unbeknownst to Mr. Mix or Mr. Bouton and without their permission or authorization, Mr. Thompson issued Pension Plan check in the amount of $120,000.00. Said check was made payable to Excelsior Hardware and Mr. Thompson forged Mr. Mix's signature. 4. On or about August 2, 1989, Mr. Thompson issued a second check against the Pension Plan account at CNB, again by forging Mr. Mix's signature. This time the forged check was in the amount of $600,000.00 and was again made payable to Excelsior Hardware Company. 5. On or about September 13, 1989, Mr. Thompson forged Mr. Mix's signature on a third Pension Plan check made payable to the Company. This time the check was in the amount of $30,000.00, and the check number was 1015. 6. These forged checks went undetected for over six months as a result of Mr. Mix's need for a second back operation in 1989, and Mr. Thompson's unauthorized retention of the Pension Plan accounts. 7. In early 1990, Mr. Mix learned of the missing Pension Plan books and records, and requested return of them from Mr. Thompson. After numerous delays by Mr. Thompson, Mr. Mix obtained some of the pertinent documents and learned of the $30,000.00 check drawn on the Pension Plan account. When confronted with this matter, Mr. Thompson assured Mr. Mix that the funds were used for proper Pension Plan purposes and that all documents would be turned back to Mr. Mix promptly. When the books were finally returned to Mr. Mix, Mr. Mix immediately contacted the bank to request appropriate copies and also contacted an attorney to investigate and pursue the matter further. 9. At the March 26, 1990 meeting Mr. Thompson stated that he had indeed forged the signature of Mr. Mix on the Pension Plan checks, but that these funds were available and would be transferred back to the custody and control of Messrs. Mix and Bouton immediately. In addition, a complete account of all Pension Plan transactions was to be provided to Messrs. Mix and Bouton on or before April 3, 1990 by Mr. Robert Kahan, of Kahan, Steiger & Co., accountants for Excelsior Enterprises. The results of this meeting were documented in a letter from the representing attorney to Attorney Simon dated March 27, 1990. 10. Within a day or two after the March 26, 1990 meeting, Mr. Thompson informed Mr. Mix and the representing attorney that transfer of the funds back to the Pension Plan trustees prior to April 9, 1990 would require the imposition of an early withdrawal penalty and therefore, Mr. Thompson suggested waiting until that date to transfer the funds. This was agreed to under the conditions that (a) Attorney Simon verify the existence of the funds at the account and, (b) Attorney Simon's signature be added as second signatory to the account, which henceforth would be changed so as to require two signatures for any disbursement of funds from the account. Both of these conditions were allegedly met, as confirmed by letter from Attorney Simon to the representing attorney. Withdrawal slips would be executed by both Simon and Thompson, so that all funds could be transferred to the Trustees by no later than April 23, 1990. Further assurances were requested and received from Thompson and Simon that the funds were in existence. Thompson offered to pledge his stock (55%) in Excelsior Enterprises Trust as security for the transfer of the funds by April 23, 1990. These shares were subsequently placed into escrow with Attorney Simon. Thompson also guaranteed the transfer of the Pension funds by requesting and obtaining the pledge of Lynwood Mix and Mary Mix of their funds (approximately $700,000.00) in a CNB account as security. All of the foregoing were provided by Thompson and/or Simon and the funds were to be transferred on April 21, 1990. 12. On April 23, 1990, Thompson requested a three day delay on the transfer of the funds, stating that the refinance had been completed, but that there was a three day rescission period required by the bank. This three day extension was granted when Attorney Simon verified that the bank had in fact required the statutory waiting period. Thompson had never submitted the check to CBT. The signed receipt was not on official CBT letterhead but, rather, was on fake letterhead constructed by Thompson. The signature on the CBT receipt was that of an employee who had been discharged two weeks earlier and that the signature of the CBT official was a forgery. 14. On May 4, 1990 the representing attorney notified CNB of the forgeries and forged check affidavits were completed by John S. Mix on May 7, 1990. The matter was reported to the Stamford Police and the State's Attorney's office. The State Banking Department was notified. Notice was given to General American, the insurance company for the Pension Plan, and to the Corporate Benefit Guaranty Corporation. Notice was given to the U.S. Attorney's office, and the Pension and Welfare Benefits Administration of the US Department of Labor. Civil litigation against Mr. Thompson, CNB and others, to recover all pension funds was commenced shortly. 1. In February, 1988 the Excelsior Hardware Company sold certain real property known as 39 Woodland Avenue, Stamford, Connecticut, to Victor B. DeYulio (B&S Carting Company), received $1,000,000.00 in cash and took back a promissory note and mortgage for $2,000,000.00. A portion of the cash was used to pay taxes and the remainder was distributed to the existing shareholders of the Excelsior Hardware Company. The note was assigned to Robert G. Thompson, Trustee in Liquidation for the Excelsior Hardware Company. The note as written was payable in five annual installments of $400,000 each. Mr. Thompson, as Trustee, was to collect the moneys due and distribute them to the existing shareholders in accordance with their percentage of ownership of the Excelsior Hardware Company. 2. In February, 1989, the first payment of $400,000 was made. In May, 1989 a decision was made by the shareholders to accept $1,300,000 from Mr. DeYulio in full settlement of the entire indebtedness. 3. On February 27, 1990 a Treasurer's check drawn on the Putnam Trust Company for $1.3 million was made payable to the B&S Carting Company, Inc. and endorsed over to Robert G. Thompson, Trustee in Liquidation. These funds were to be distributed by Mr. Thompson to the shareholders of the Excelsior Hardware Company. 4. On March 16, 1990, Mr. Thompson issued certified checks to Mr. Ralph Mix or Mrs. Dora Mix, two of the shareholders of the Excelsior Hardware Company. These checks were certified on March 19,1990. However, Mr. Thompson has admitted that at no time, either on March 16,1990, when the checks were written, or any time thereafter, were there sufficient funds in the account to cover any of these checks. Thus, the question of how Mr. Thompson was able to obtain the certifications was unanswered and no answer was ever forthcoming from the bank. 5. On March 26, 1990, Mr. Thompson, Attorney Simon, Ralph Mix, John S. Mix, Dorothy Mix, Richard Mix and the representing attorney met concerning the distribution of the funds. Mr. Thompson indicated that all of the funds were now in a CNB account in the name of Excelsior Hardware. When Mr. Thompson stated that there would be a penalty for early withdrawal, it was agreed (a) that Attorney Simon would be added as a second signatory on the account, (b) that two signatures would be required before any funds were disbursed (c) that the funds would be transferred and (d) that a full accounting would be provided by CPA Robert Kahan. In addition, Attorney Simon confirmed the existence of the funds in the account. 6. On April 26, 1990, Mr. Thompson issued checks to the representing attorney, as Trustee. All of these checks were returned for insufficient funds. 7. When a demand was made on CNB to transfer the funds to the representing attorney, as Trustee, CNB notified the representing attorney that CNB had granted loans to Mr. Thompson and/or Excelsior Hardware using the funds as collateral for said loans. Thus, CNB refused to release any funds claiming a security interest in the account. Excelsior declared bankruptcy under Chapter 11 in July, 1990. For some time an attempt to continue operations was continued under the leadership of Joseph Tedesco and others. Ultimately the company was sold to a German company who planned to consolidate operations with Presto Lock in New Jersey, which they had also purchased and to then transfer all operations to Mexico. This attempt was, likewise, unsuccessful and in January, 1994, Excelsior laid off its last two employees and closed it doors for the last time. In New Haven Federal Court in April, 1992, Robert G. Thompson was sentenced to serve three years for the theft of $600,000.00 from the Pension Plan. He was released in late 1994 and at this time (September 2002) continues to live in Darien, CT and is employed by a Stamford company. The history of the Excelsior Hardware Company closes in 1994. Always, there is more to the story than what is detailed in the bare facts and, in this case, there is much more. In January of 1990 a bomb scare emptied the factory, but no bomb was found. In March of that year, there was a second bomb threat. The day after the second threat a small fire in a second floor storage room was classified as arson by the Stamford Fire Marshall's office. On examination, it was found that above the storage room there were 22 boxes of brown paper lunch bags filled with Connecticut lottery tickets—several kinds, all denominations. When loaded in a truck for final disposal, these tickets weighed over 480 pounds (about 800 tickets to the pound), representing hundreds of thousands of dollars. The reason for Thompson's mishandling of company money was thus revealed as a gambling addiction. When legal action was taken and reported in the Sunday, July 1, 1990 Stamford Advocate, company employees were very upset and frightened. They saw their pension funds lost and their retirement threatened. Actually, the Pension Plan was insured and payments became the responsibility of the Pension Benefit Guaranty Corporation, roughly the equivalent of the FDIC, and all pensions were intact. On July 18, 1990 further disaster became known. A voluntary Chapter 11 bankruptcy filing listed company debts of six million dollars, assets of 1.5 million. Over one hundred creditors were listed, including stockholders, utilities, suppliers and employees. Paycheck withdrawals for union dues, medical insurance, and United Way contributions had been made, but never paid. Two medical plans had lapsed since May, 1989, with no notice to employees, leaving thousands of dollars in medical expenses the responsibility of the patients. There was suddenly no work—and no paycheck. Of the six million loss, the Mix family personally lost some four million. The FBI, IRS, the US Department of Labor, the US Attorney, the Economics Crime Unit of the Connecticut Chief States Attorney's office, all were conducting investigations. Thompson was charged with violating the federal racketeering Act (RICO) and the Employee Retirement Income Act, in a suit brought by Pension Plan Trustees, John S. Mix and William Bouton, Jr. In September stockholders filed a suit against Thompson alleging he kept most of the three million dollars received on the sale of the company real estate. One member of the Mix family, believing he was furthering the well-being of what had been his family's business, turned over his share of the real estate proceeds for investment in Thompson's company. He then added the proceeds of his father's and brother's estates, ultimately losing some two million dollars. Saddest of all was the death of the wife of one of the employees, killed by her husband in a failed murder-suicide attempt. The husband, in poor health, worried over their future, viewed his expected retirement as stolen from him. In his distraught state, he saw no other way to take care of his wife and himself. He lived out his few remaining years in a state psychiatric hospital. There is also documented evidence of Thompson's mishandling of one employee's money, involving a $17,000 CD. Only after threats by other employees did Thompson repay the $10,000.00 he had "borrowed" from said employee, having intimidated him into cashing in the CD.